What an epic bowl with delicious flavours and textures. 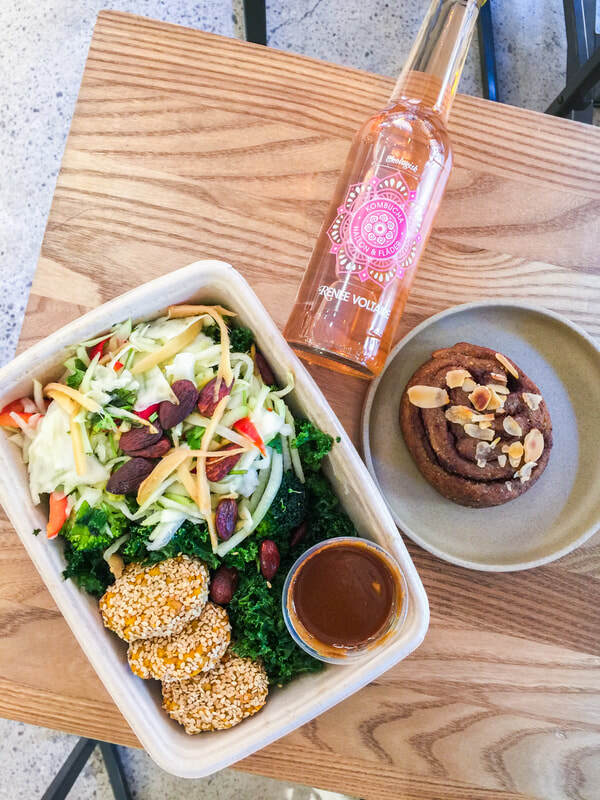 Sally Voltaire och Systrar is a boutique style eatery that celebrates veggies, grains, legumes nuts & seeds with many vegan and vegetarian options. 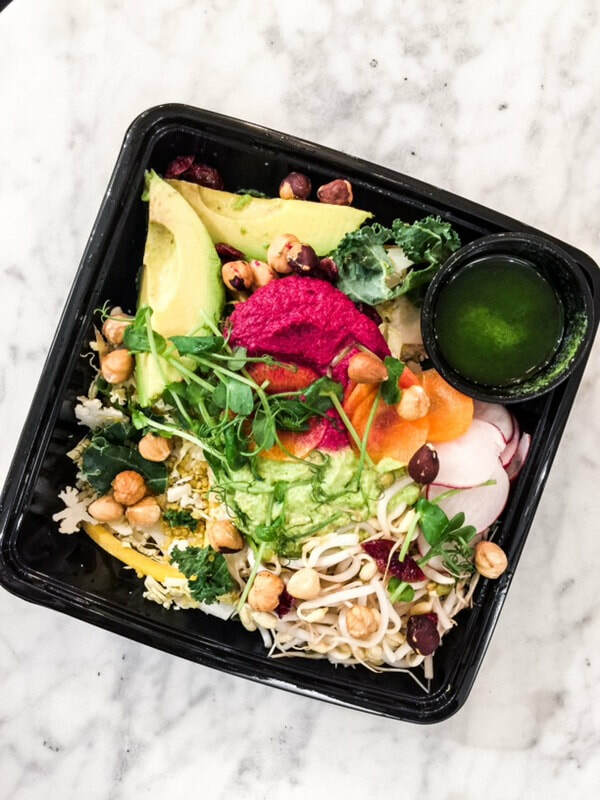 I opted for their Vegan Bowl- a base of quinoa with raw cauliflower, kale, radish, bean sprouts, avocado and hazelnuts. The flavour enhancing components of the bowl where two different hummus’s, beetroot and avocado as well as a herby olive oil. I decided not to use the oil as I found the hummus’s mixed with everything was enough. A generous bowl with fresh high ingredients. I would recommend a visit. For the first time trying a Poke bowl this was incredible! What an amazing concept; a bowl with many small, delicious components brought together to create one epic meal. When I ate at Hawaii Poke they had 2 vegan bowls available (one a special). 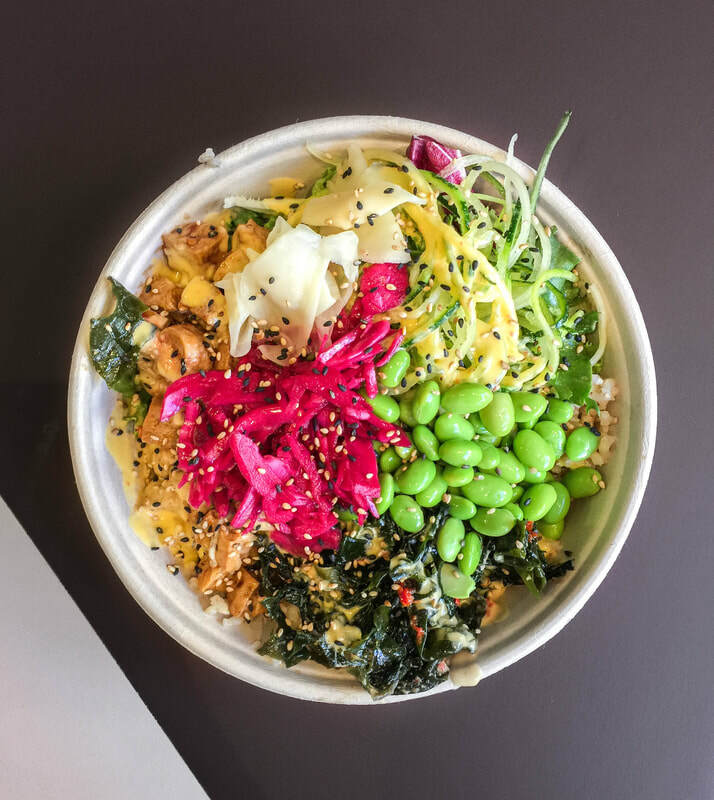 I chose their Palama Fresh- marinated tofu, brown sushi rice, mixed leaves, zoodles, edamame, seaweed salad, seasonal vegetables, pickled ginger, sesame seeds and a mango yuzu sauce. Absolutely everything in the bowl tasted incredible and really complemented each other. The different textures where on point too. I would highly recommend Hawaii Poke and must say I'm now addicted to Poke! The plant-based cafe/ grocer offers many different salads, soups, juices, smoothies and baked goods etc. For lunch I chose the Jackfruit Nugget Salad- a bed of messaged kale, papaya salad, activated nuts, jackfruit nuggets and a soy miso sauce. To be honest, I was expecting the nuggets to have a 'fake meat' texture, but found they where more falafel style with no signs of jackfruit. The salad had flavour, but wouldn’t rave. ​The gluten free cinnamon role didn’t impress either and found it a bit too dense. The raspberry kombucha however was amazing, and tasted like the raspberry lemonade I enjoy as my drink of choice when I was younger. Pepstop also has a grocery store within the cafe (that is quite stunning I might add) with their own line of healthy goods. Be aware it’s incredibly pricey and kind of feels like your buying the brand rather than the product. Despite my average review I would still suggest a visit to Pepstop, as the ascetics of the store are beautiful with high quality food. Maybe I just chose the wrong menu items. After a big day of walking this burger really hit the spot. ​I choose Vigårda quite spontaneously, but when I saw they offered sweet potato fries I was front of queue. I went for their only vegan burger which had quite a few Mexican inspired flavour sensations. The lentil based patty was topped with tomato, lettuce, pickled cabbage (yes kind of random, but it worked) crushed tortilla chips (one of my favourite bits) and generous amounts of guacamole and spicy mayo. The sweet potato chips where wonderfully crunchy and the dipping sauce of pepper & lingonberry bbq sauce was on point. For my drink I went for a refreshing house pressed apple and ginger juice. 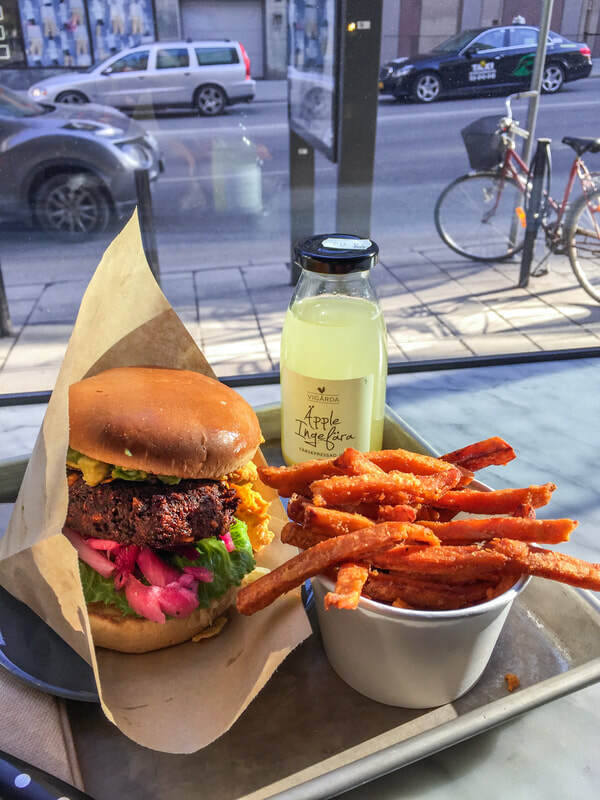 A very flavourful burger and would definitely recommend Vigårda!